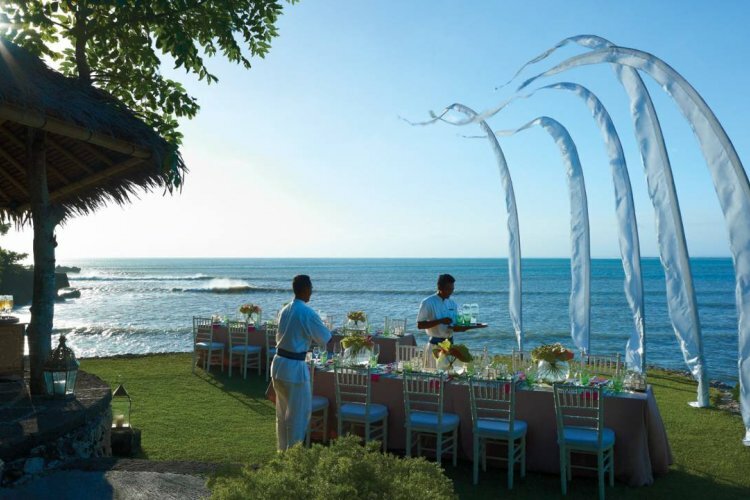 Synonymous with worldwide luxury the Four Seasons Resort Bali at Jimbaran Bay will give you a elegant stay in Indonesia. Built 150 feet above Jimbaran Bay you will enjoy a spectacular location matched only by the quality of the accommdation and service. 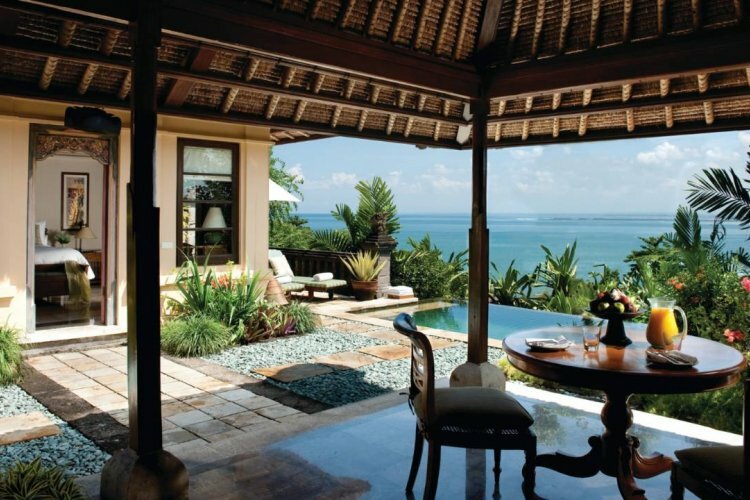 If you book a trip to the Four Seasons Jimbaran you can even retreat into your own individual thatched roof villa. A perfect oasis from the hustle and bustle of modern life. 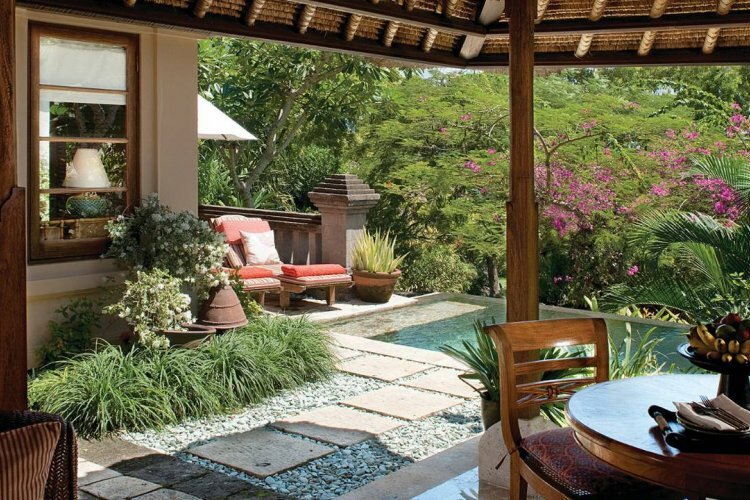 Here you can bask on your own sundeck or cool down in your Villa's own plunge pool! Evening meals are fantastic at Jimbaran as you can choose to dine in an oceanside or hilltop setting. You could even take the opportunity while in Bali to participate in Jimbaran Bay's own cookery school. We can guarantee that you will be the first of your friends to learn how to cook traditional Balinese dishes!